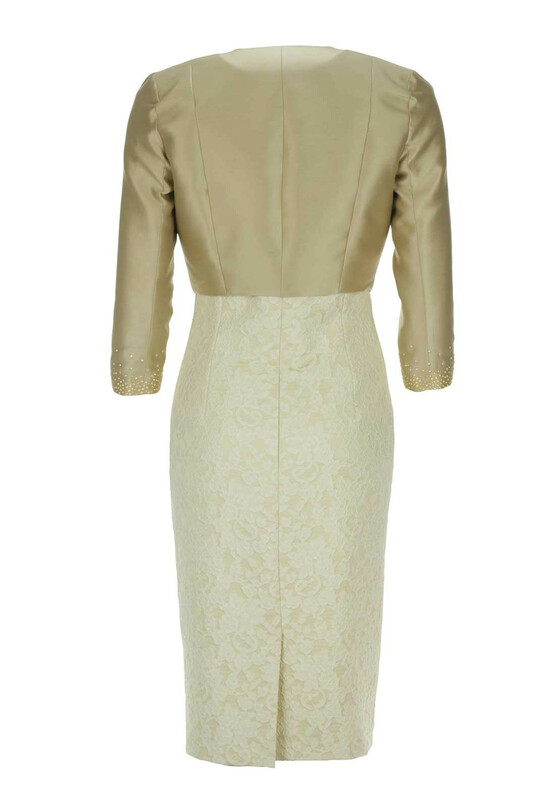 Linea Raffaelli presents this beautiful dress and jacket outfit in a luxurious gold shade. 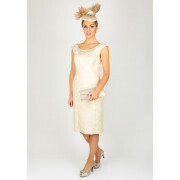 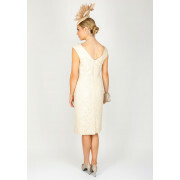 A perfect outfit for a Mother of the Bride or Groom accessories with metallic heels and a headpiece. 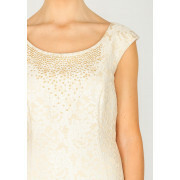 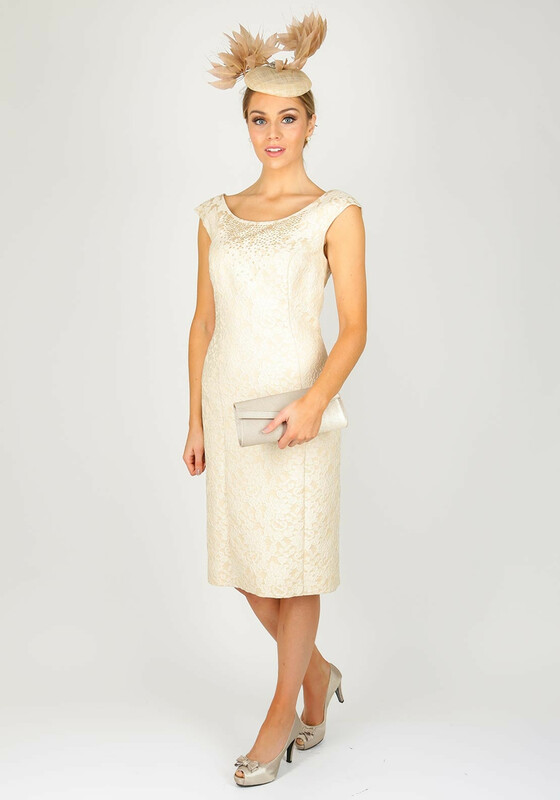 The sleeveless dress is designed with a fitted pencil shape and made from soft fabric with a pretty floral print throughout and beading at the neckline. 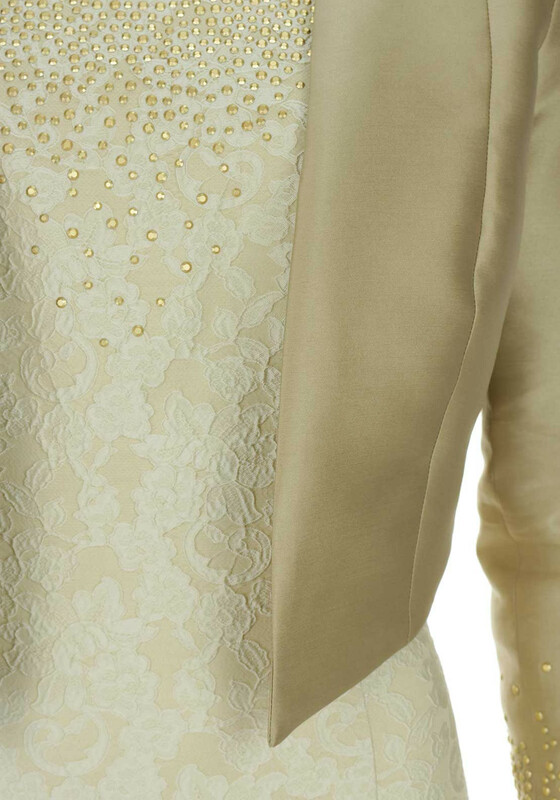 The plain bolero jacket is crafted from gorgeous silk blend fabric with matching embellishment at the cuffs. 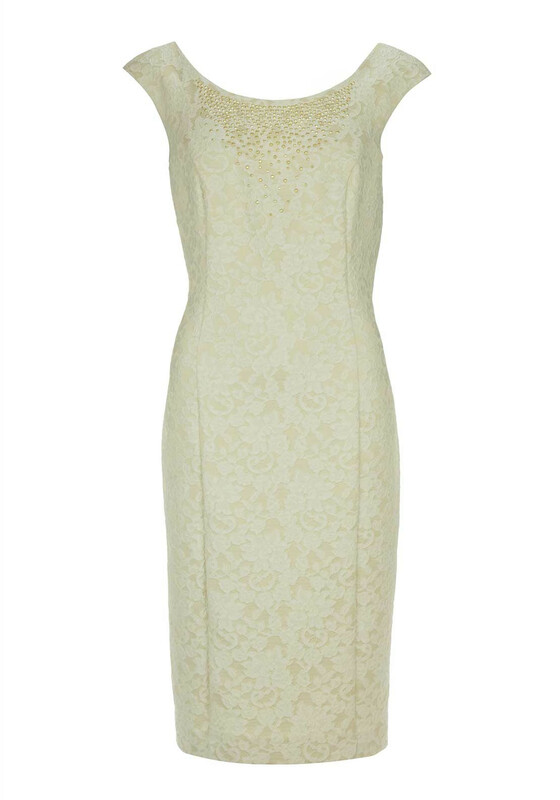 Length: Dress – 105cm approx. 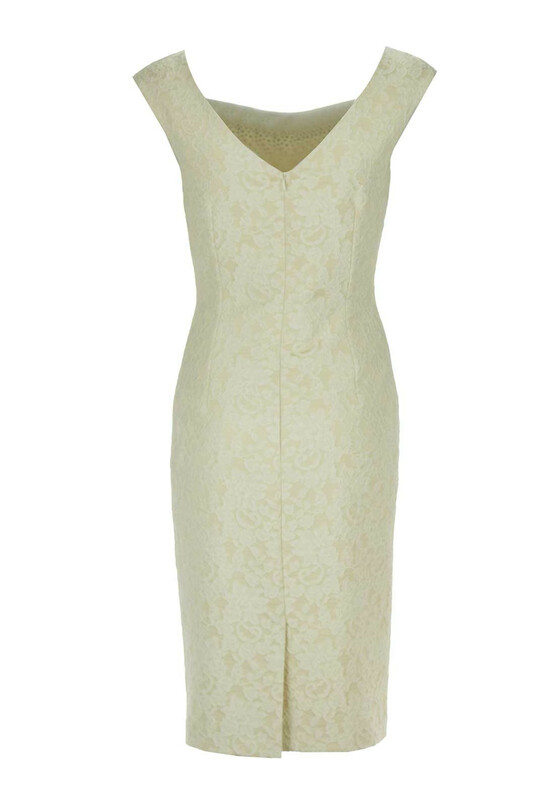 – midi length. 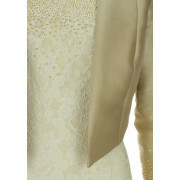 Jacket – 39cm approx.